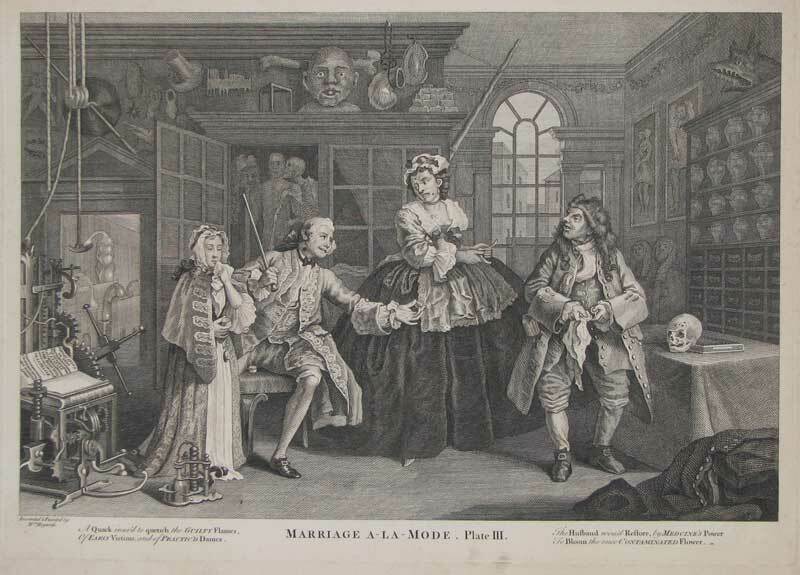 A set of six copper plate engravings published in London in 1768, by Robert Sayer after the designs of William Hogarth. 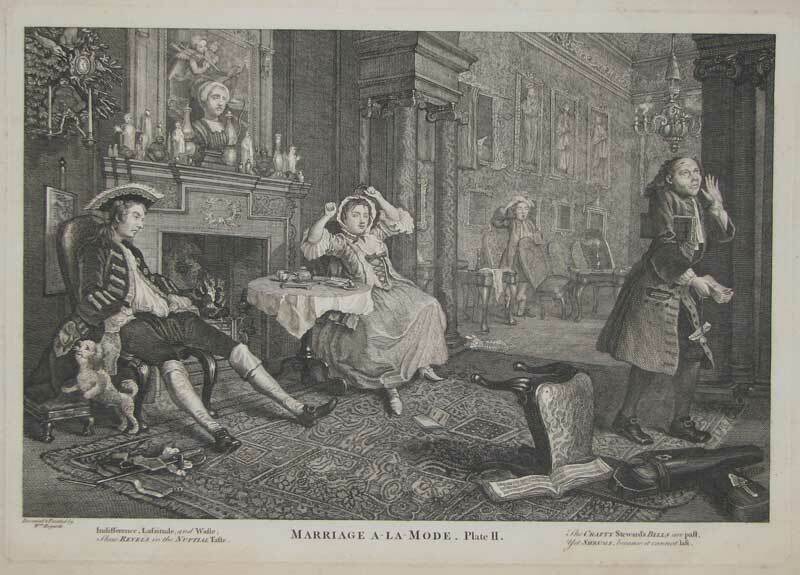 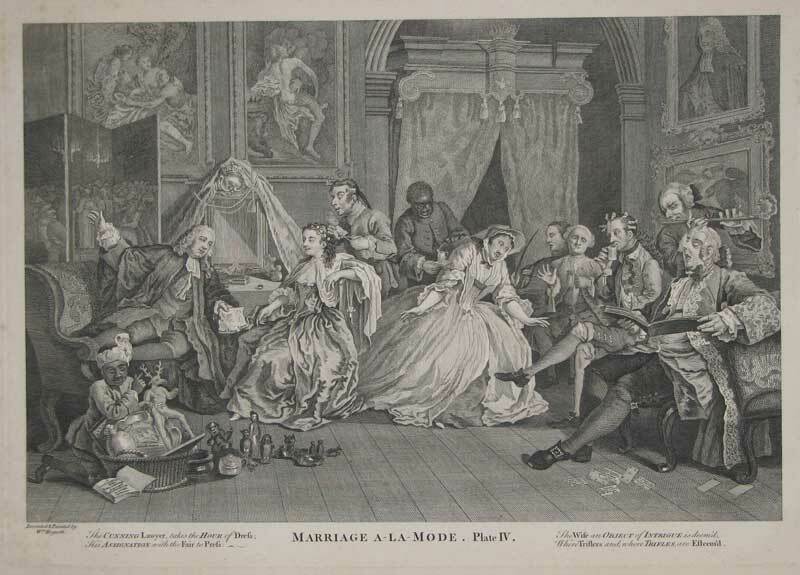 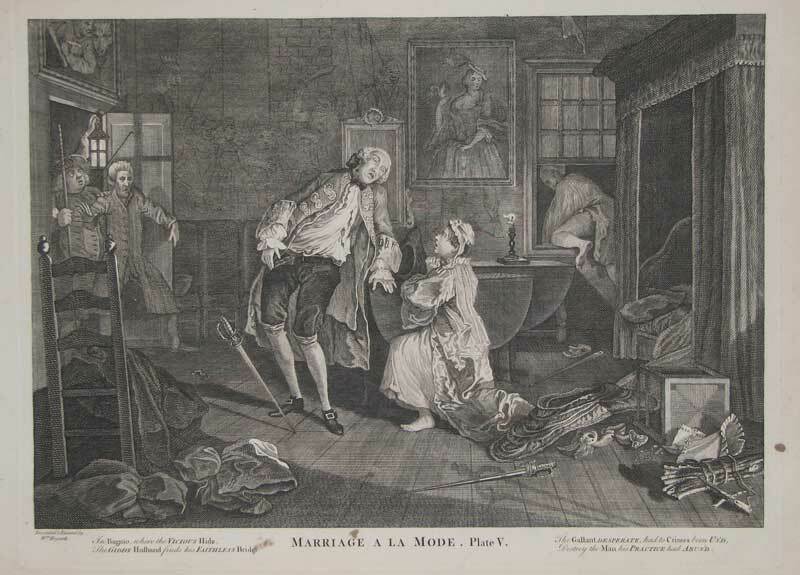 Soon after Hogarth's death in 1764, his widow Jane gave the London publisher Robert Sayer permission to publish a collection of her husband's prints. 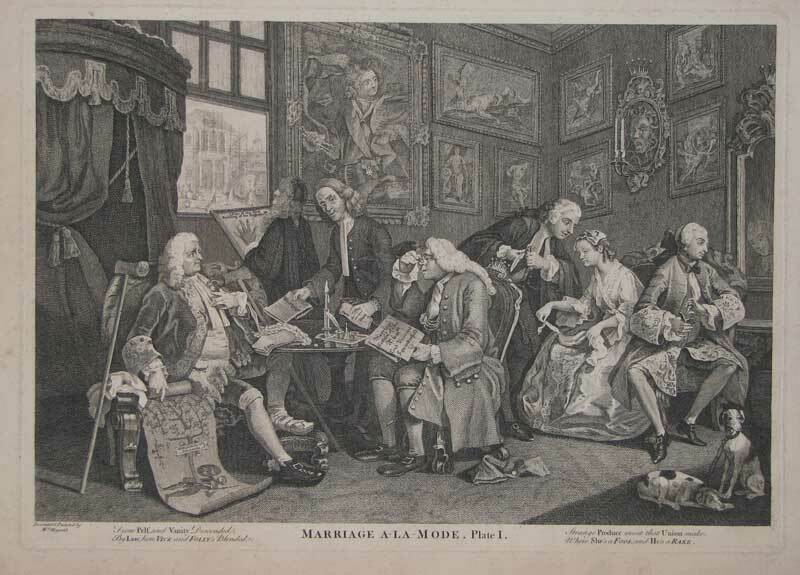 Thus the series Les Satyres de Guillaume Hogarth Oeuvre Moral et Comique have the distinction of being one of the earliest authorized collections of his work. 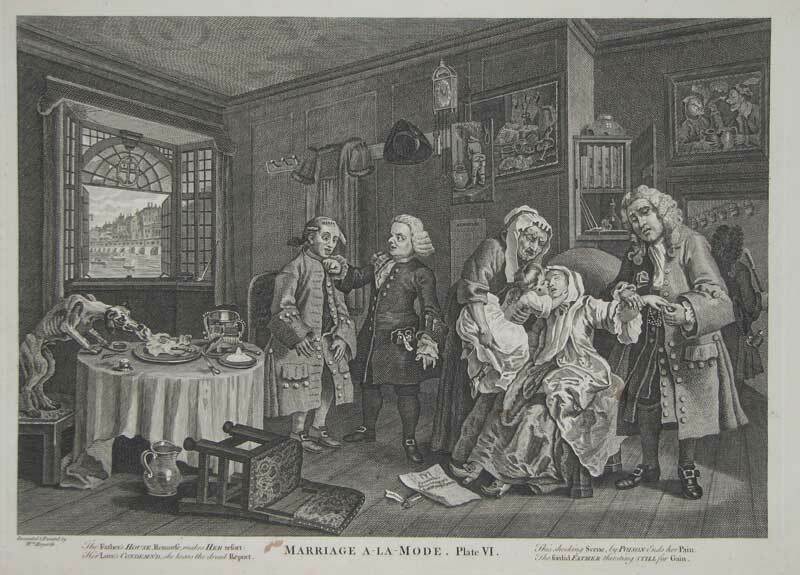 Although they were engraved to a slightly smaller scale they retain all the detail and clarity that make Hogarth's images so enduringly fascinating.